Annette has twenty years of experience in the design, management and evaluation of complex policy and programs, in government and non-government settings. She co-leads Nous’ evaluation practice. Annette has a sharp eye for nuance and complexity and a creative facilitation style that informs a practical approach to policy development and evaluation services. She is an exceptional leader with proven ability to operate strategically in demanding environments, collaborate with multiple stakeholders and lead productive teams. Assisted a government department prepare for major regulation reforms; including through leading the consideration of funding options for a new digital service, assessing cost‑recovery requirements, preparing funding scenarios and developing a monitoring and evaluation framework. 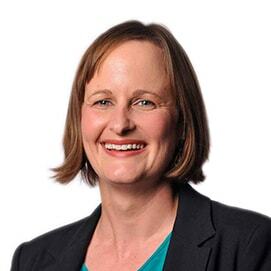 Annette’s previous career was in international development policy and practice, working with the Australian Agency for International Development, non-government organisations and as an independent consultant. This included four years in Timor‑Leste with the Australian aid program and three years working on multilateral environmental governance and financing. Annette holds a Master of Public Policy from The Australian National University and a Bachelor of Arts (Honours) from the University of New South Wales. She is a member of the Australian Evaluation Society. Annette loves to bushwalk, read, go to the theatre and travel. She spent six weeks walking the Camino de Santiago in Spain.